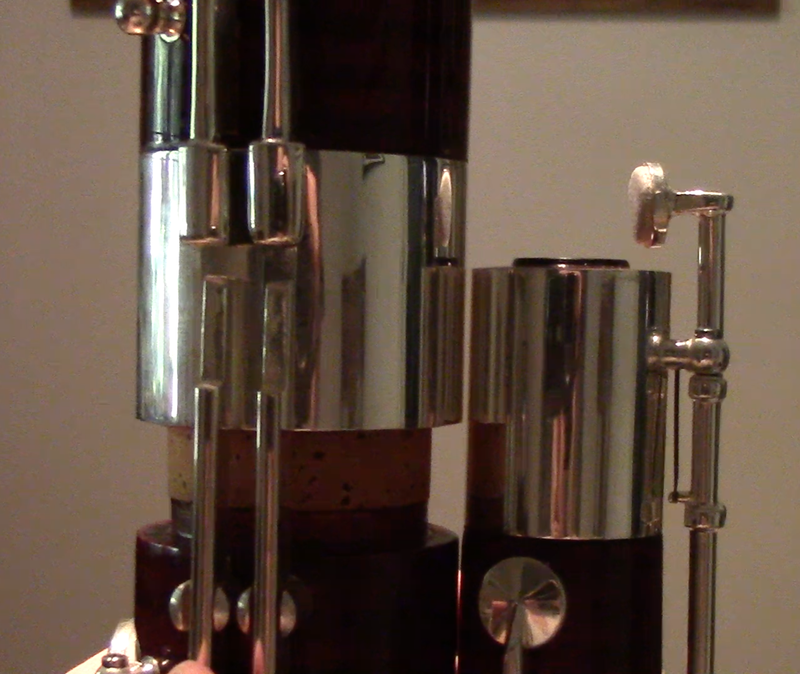 Recently I tried a Brand New TAKEDA MODEL 2 BASSOON. From the First Glance, this is a Beautiful Compact instrument. It is my understanding that ALL of the TAKEDA MODEL 2 BASSOONS are Compact or “Gentleman’s Cut” Bassoons. 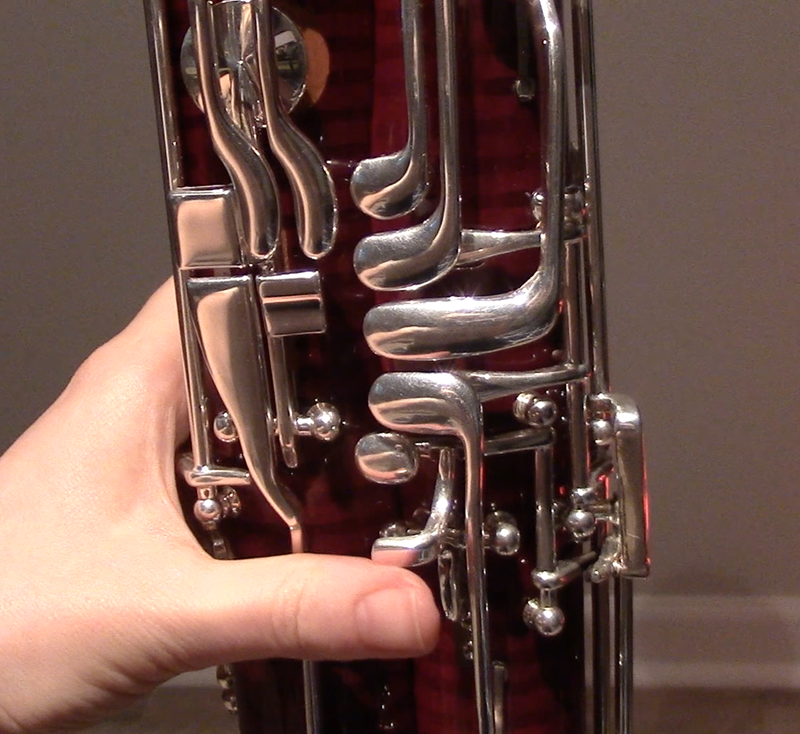 Compact Bassoons allow for a Long Joint and Wind Joint that are the Same Length. The Takeda is made of Maple that is grown in China and then Processed into Bassoons in Japan. By growing the trees and then aging the wood in China the costs are kept to a minimum, a savings TAKEDA passes on to customers. The Model 2 is a bassoon full of extra keys but priced just below the Fox 220 or Moosman M20, both short reach bassoons without the High D Key. After reading Posts on IDRS (so many positive so many negative), I decided to give the instrument a Trial Run for a student in my studio needing to rent a bassoon. We did a monthly rental from Midwest Musical Imports. Happy Left Thumb! A High D Key, an Auxiliary C key, an A Venting Bridge (or Weisberg A) and a Whisper Key Lock! It was exciting to see that the TAKEDA MODEL 2 had some FANCY FEATURES now Mass Marketed. Although the TAKEDA was full of First Impression Flash, there were moments in the Instrument Trial that left me Hungry for More. For a full detailed review of my impressions, click the video link below. Have You Tried the Takeda Instruments? I’d love to hear your impressions, leave me a comment down below!